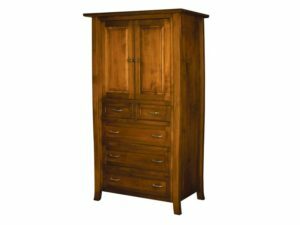 You’ve found a superb lineup of bedroom armoires – a.k.a. 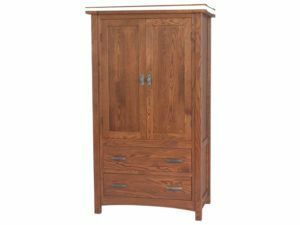 wardrobes – from Brandenberrry Amish Furniture. 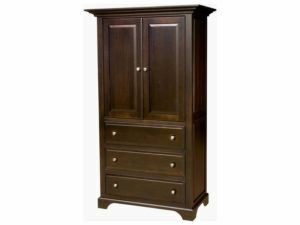 Our bedroom armoires are sure to fill your needs for large storage space, including provisions for hanging clothes. 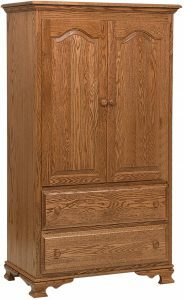 Plus solid hardwood construction and great looks. 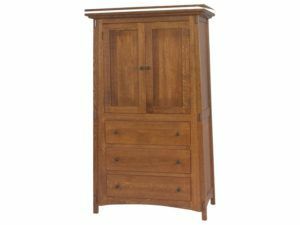 A gently curved profile highlights the Batavia Armoire. 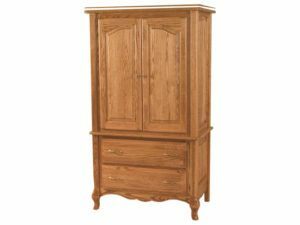 The Brooklyn Mission Armoire blends classic design and spacious construction. 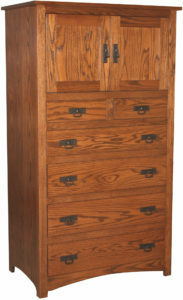 Storage space abounds in the stately Brooklyn Mission Five Drawer Armoire. 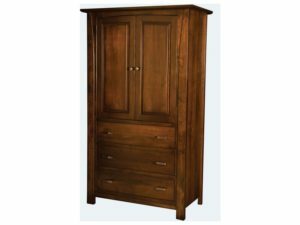 The Brooklyn Mission Tall Armoire brings comfort and quality to home furnishing. 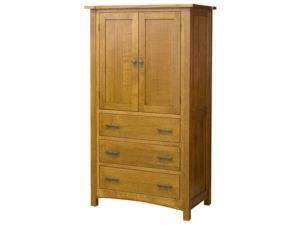 Classic design and solid craftsmanship meet in the Classic Shaker Five Drawer Armoire. 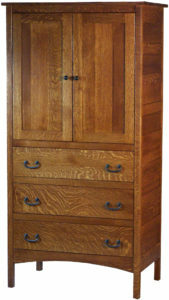 Beautiful knob hardware marks the Classic Shaker Three Drawer, Two Door Armoire. 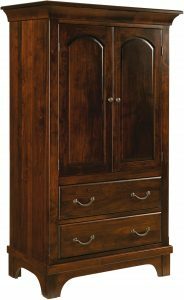 Elegant styling and raised paneling make the Escalade Armoire a treasured bedroom furnishing. 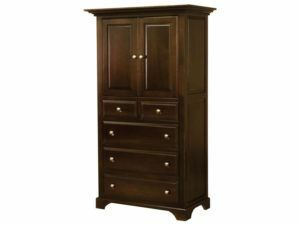 Sleek and sturdy construction make the Escalade Three Drawer Armoire a fitting bedroom piece. 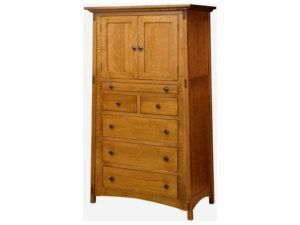 Two doors and two storage drawers make the French Country Armoire a great source of style and storage in the bedroom. Arched raised panels beautify the French Country Three Drawer Armoire. 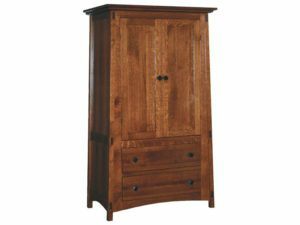 The Hampton Armoire features a modern elegance. 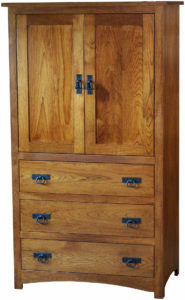 A rich, sleek finish accents the sturdy McCoy Five Drawer, Two Door Armoire. 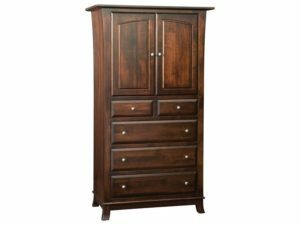 The McCoy Six Drawer, Two Door Armoire brings the beauty of Mission design and solid craftsmanship to the bedroom. 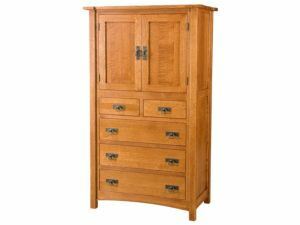 Beautiful craftsmanship highlights the McCoy Three Drawer, Two Door Armoire. 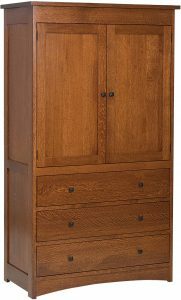 Sleek design and solid construction meet in the McCoy Two Drawer, Two Door Armoire. 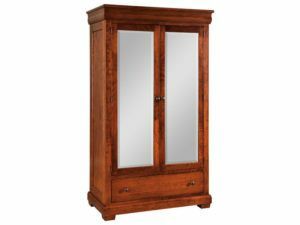 The Mondovi Armoire possesses a sleek, elegant style. 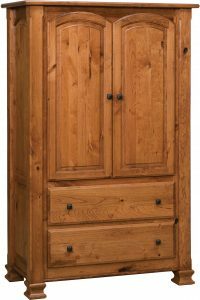 The Mondovi Five Drawer Armoire features raised panel doors and fine woodwork. 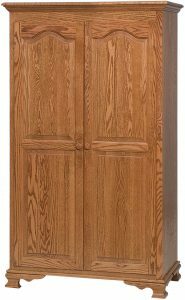 The Mondovi Two Door Armoire features fine hand craftsmanship and beautiful design. 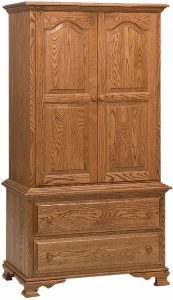 The Shaker Five Drawer Armoire features classic Shaker design and elegant raised panel doors. 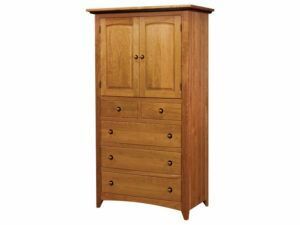 The Shaker Nine Drawer Armoire boasts impressive size and plenty of storage space. 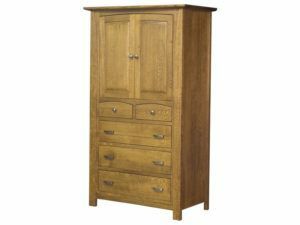 Featuring large paneled doors, the Shaker Two Door Armoire makes an excellent bedroom furnishing. 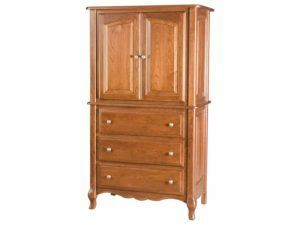 A rich finish brings out the beautiful wood construction of the Superior Shaker Five Drawer, Two Door Armoire. 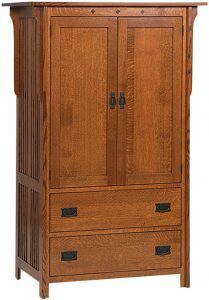 The Wellington Armoire brings beautiful craftsmanship straight to your home. 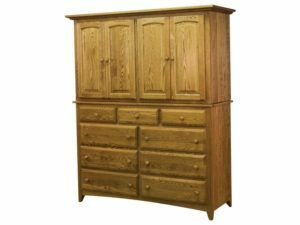 Make sure to check out the large selection of bedroom armoires from Brandenberry Amish Furniture. 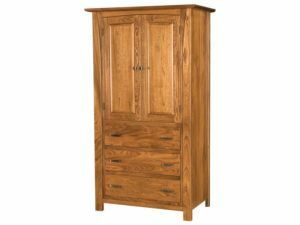 Because they have all the features armoires (wardrobes) are famous for. Like plenty of drawer space. 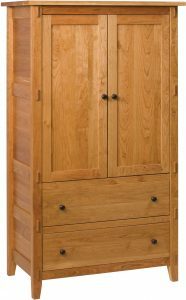 Plus lots of room to hang your clothes. 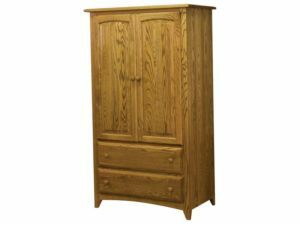 But our armoires give you lots more. For starters, they’re incredibly well built. 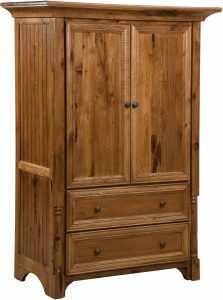 Amish artisans painstakingly handcraft each armoire. And they use solid hardwoods. 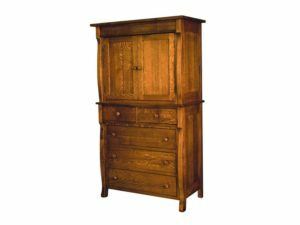 So, with good care, your armoire from Brandenberry could become a family heirloom. 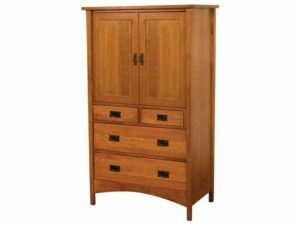 Also, we will bend over backwards so you can get the armoire just the way you like it. So order the unit as shown. Or order it, and tell us about your customizing wishes. Like wood specie and finish. 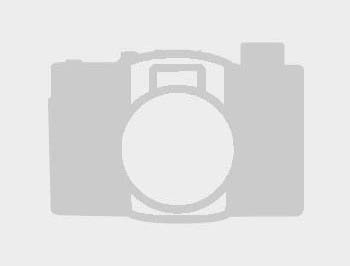 Or type of hardware. Also, you may wish to adjust the number of drawers and shelves. 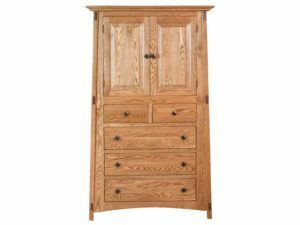 Another option is to work with one of our experts to create the custom armoire of your dreams.